Specific Agricultural Buildings are perfect for farming purposes. 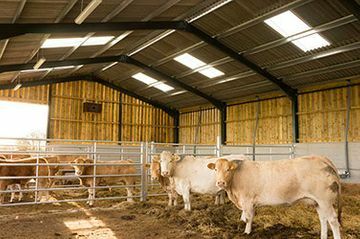 These buildings can be designed to meet any farm application, from livestock housing to general purpose buildings and grain stores. 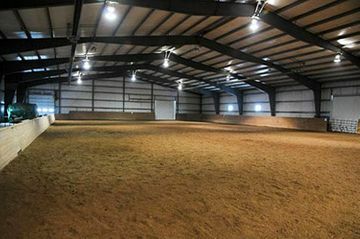 Whether it be large scale riding arenas and indoor schools or small stable blocks and tack stores, we aim to deliver a building that satisfies both our two-legged and four-legged customer requirements. A client specific custom service for a wide spectrum of Industrial buildings. Varying from workshops to units, showrooms to waste storage, and everything in-between. 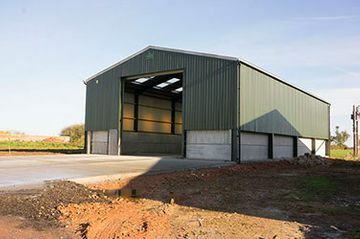 Bridgewater Construction is a family business based in Shropshire, with a national reputation for the design and installation of premium steel frame buildings. By choosing us, you benefit from years of industry experience, specialist knowledge and a top quality product that enables expansion and diversification across a range of sectors. Every project that we work on is headed by an expert draughtsman, who assesses your site, works out the best option to suit your unique requirements, and ensures that every stage of design and construction of your steel frame buildings receives incredible attention to detail. 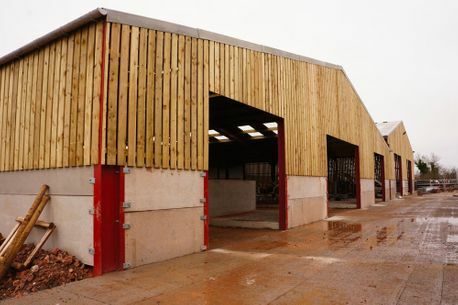 This comprehensive and dedicated service has resulted in Bridgewater Construction delivering the finest steel buildings to sites across the UK, used for everything from agricultural livestock housing and grainstores to equestrian riding areas, stables and industrial units. We have versatile applications ideal for industrial units, agricultural barns, grain stores and more. Steel is highly durable and capable of withstanding all kinds of weather conditions, such as strong winds, freezing winters, heavy rainfall and blistering heat. This makes it the right choice for agricultural, industrial and equestrian applications. Due to steel being a tensile material, steel frame structures come with a high strength-to-weight ratio. In comparison, whilst concrete has high compressive strength, it requires metal reinforcements to ensure a structure’s tensile capacity. With sustainability a key factor in modern construction, structural steel is almost 100% recyclable and the majority of it is created from recycled steel. Combine this with a long lifespan and steel buildings have minimal impact on the environment. Steel frame structures take a lot less time to erect, leading to shorter lead times allowing you to start earning money from your investment sooner. Unlike other materials, steel frame buildings are highly versatile and can be easily modified, upgraded and removed. These are just some of the advantages of choosing steel frame buildings for your premises. Visit our Agricultural, Equestrian and Industrial pages to find out more. We believe that every job, regardless of shape and size, deserves to be started with an in-depth discussion. Either by visiting your site or telephone conversations to understanding your goals, we guarantee the delivery of a high quality structural steelwork solution specially designed to bring a strong return on investment. This also allows us to offer expert recommendations and specific suggestions, to help deliver a building to your own design and speafitications that suit your business requirements. 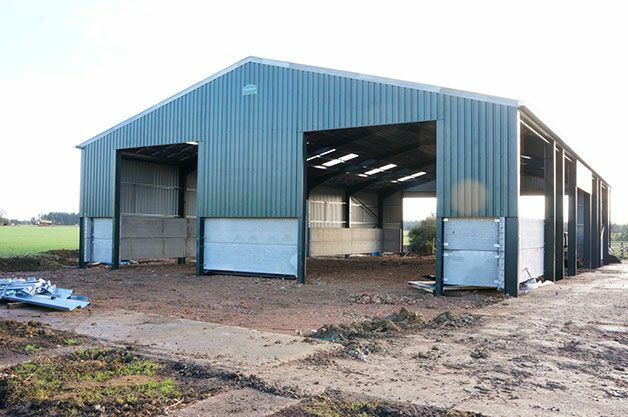 Whether it’s a standard kit or a bespoke specification, we treat every customer as an individual and our guiding principle is to support the ongoing success of your business through multipurpose steel frame buildings.